So we have been umming and ahhhing about where to go next. Barcelona is getting more and more congested with traffic, pollution and tourists but we love the province of Catalonia and have been making full use of the amazing landscape around Barcelona, getting away every chance we get. 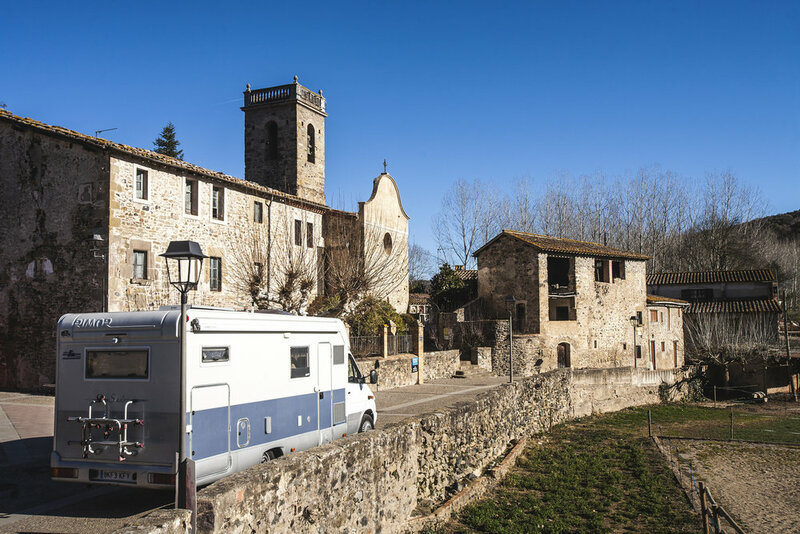 We thought about going to Girona, our second favourite city in Catalonia one hour north from Barcelona, but truth be told, its a little bit of a stretch for us (not quite ready to fully retire to the countryside AND our Catalan is a little on the non-existent side!). That said, Girona is a mecca for cyclists, has a great cafe culture and is a world recognised centre for excellent gastronomy so we would be perfectly happy there, one day. After almost a year of these musings about our next move we also decided to focus more on our photography business in 2018 and build our stock photograph portfolio. I (Vanya) also signed up to do more cycling tours this year in Spain and Portugal, working for a wonderful cycling tour company based in Sintra. All this means that we would spend plenty of time traveling to tours and be in airports almost every week in between. So, we bought a motorhome and decided to live on the road between tours, take photographs and explore Spain and Portugal as much as possible, shooting everything we can (with a camera, we are vegans y'know). Introducing 'Tata', or Bertha Benz, our 2003 Mercedes Sprinter Rimor Sailer. Tata in El Torn, Girona Province, Catalonia. Tata will be our mobile office, kitchen and photo studio for the rest of 2018. We will be doing landscape and drone photography, food styling/photography and cycling images when we have time between tours. The kitchen where all Wonderland_Food will be created while we're on the road. Wonderland_Locations will capture the natural landscapes we sleep in and hopefully bring you into the spaces we spend time in. 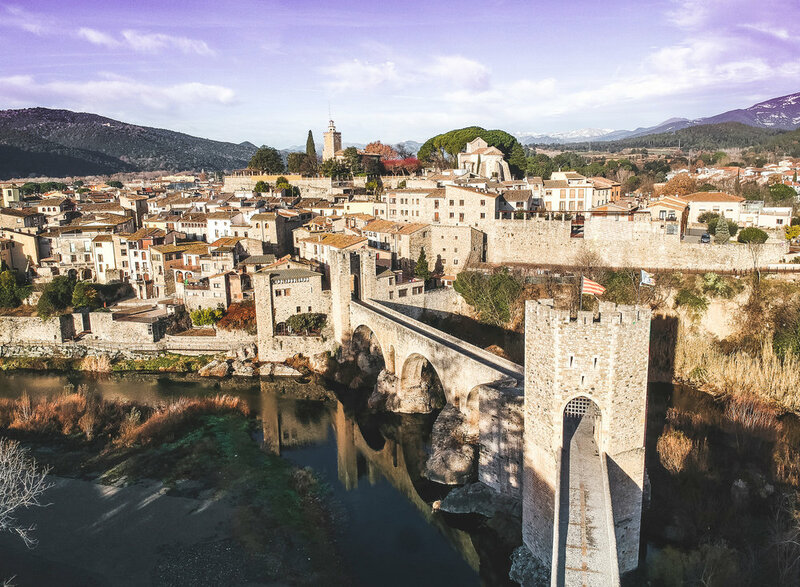 Beauticul Besalú from the air.